November 2, 2016 ~ Shoulder? | Whatever! 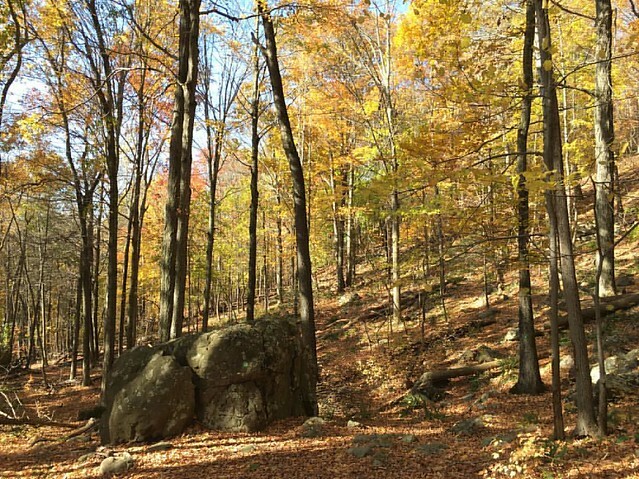 Today I was back on Sleeping Giant, this time on the Nature Trail, a self-guided walk, or rather, hike. They had booklets at the main parking lot, so I grabbed one, checked my clue list for the letterboxes I was hunting for, and set out. 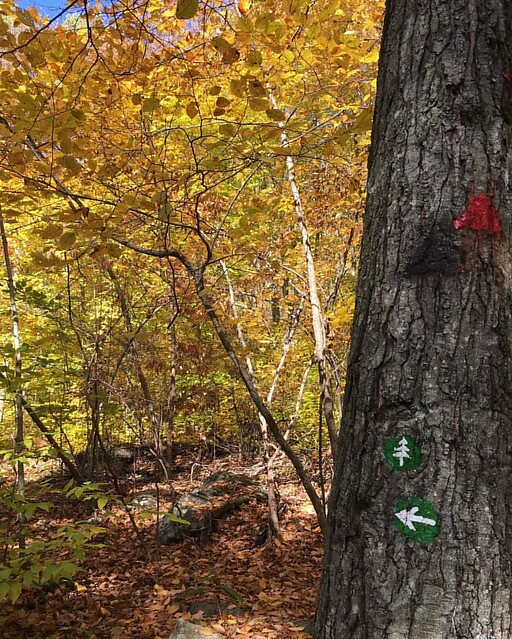 It was a fun trail, not too long – with super-fun trail blazes – an evergreen tree! The hike starts off pretty level, and is easy going. Eventually, it gets steeper and steeper. Which was kinda fun today, it was mid-60’s! November and 60’s! And super sunny. Just a lovely day for a walk. The first box in the series was a bit tricky. I got caught up with one of the former numbered trees instead of walking a bit further to the current number tree. Ice cream melted in today’s heat! But no matter, I eventually figured it out, and found one of the BEST letterbox containers I’ve seen so far. 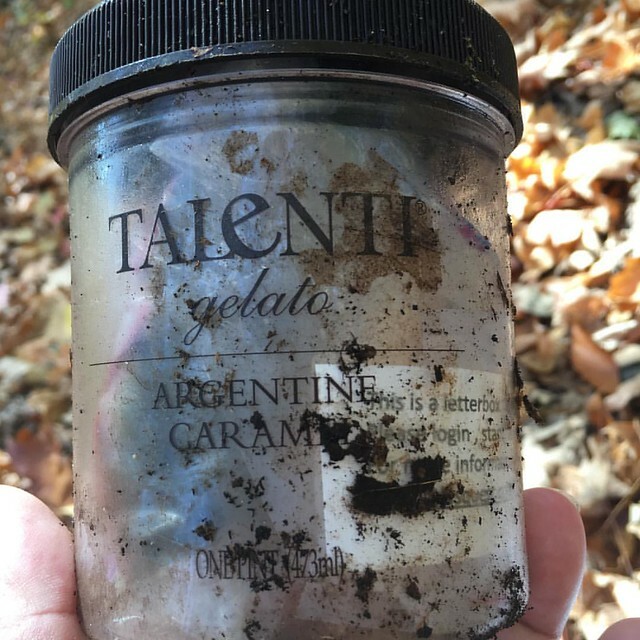 A Talenti pot! I may suggest using one of the few we have at home for Teagan to plant her letterbox in. (She needs to plant make one to earn her Brownie Badge. She knows the general area where she wants to plant it too). Anyway, the Nature Trail was pretty fun. The guide book was informative, pointing out interesting things along the way. 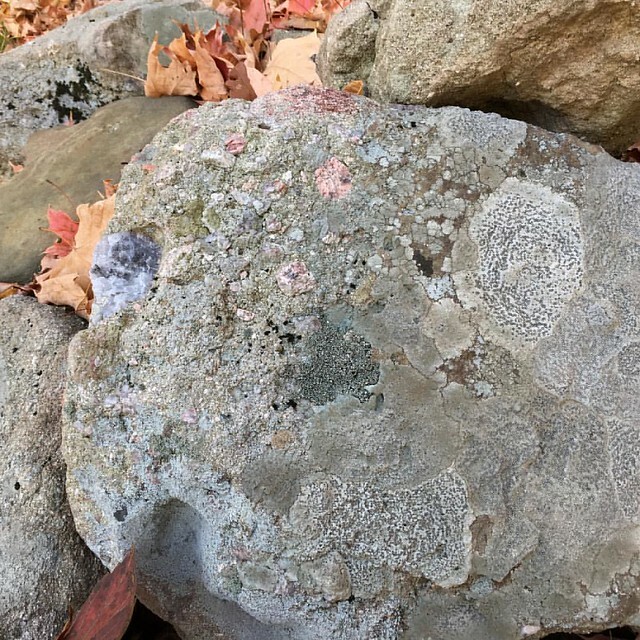 Several different types of trees, rocks, geographic and environmental features. The stamps in the series were beautifully carved, and were coordinated to the locations on the trail where they were hidden. One of the more lovely stamp series I’ve found so far.